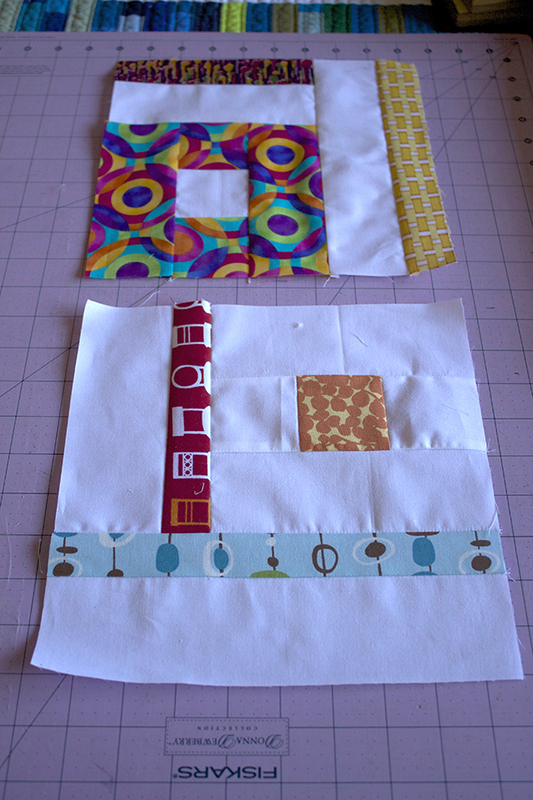 • sew a 2 1/2″ square of print fabric onto top and bottom of a 2 1/2″ square of background fabric. 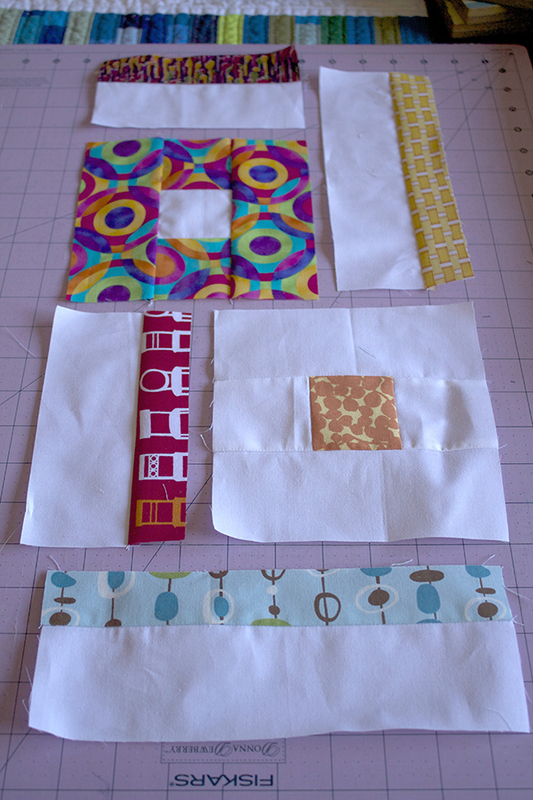 • join a 2 1/2″ X 6 1/2″ print fabric to each side of the above unit. 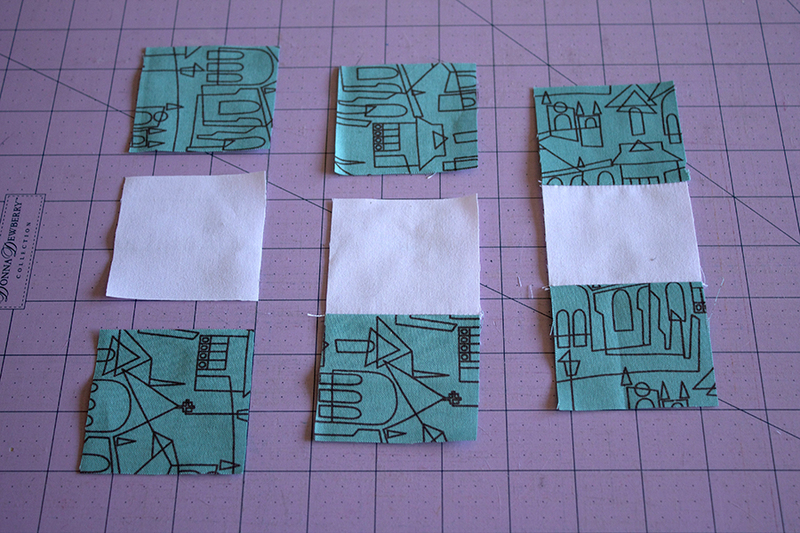 Press all seams open for this project. 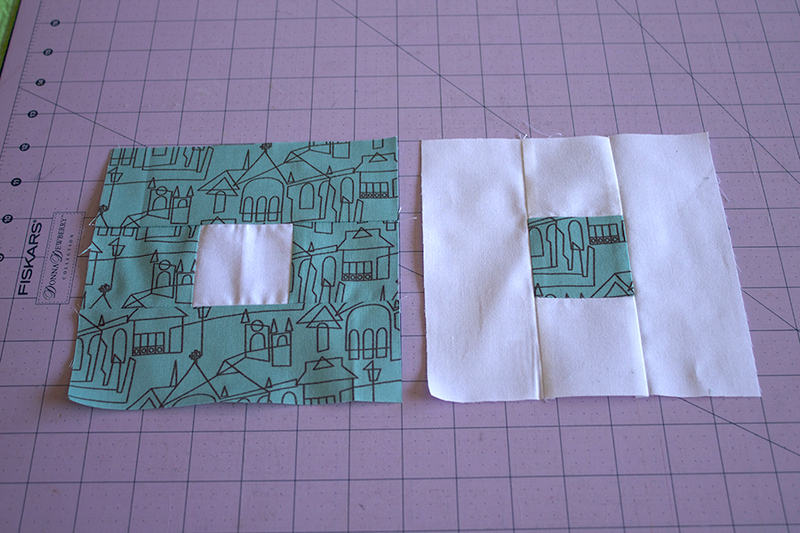 Directions for block B are the same steps for making Block A, except the fabric placement are opposite (refer to photo). 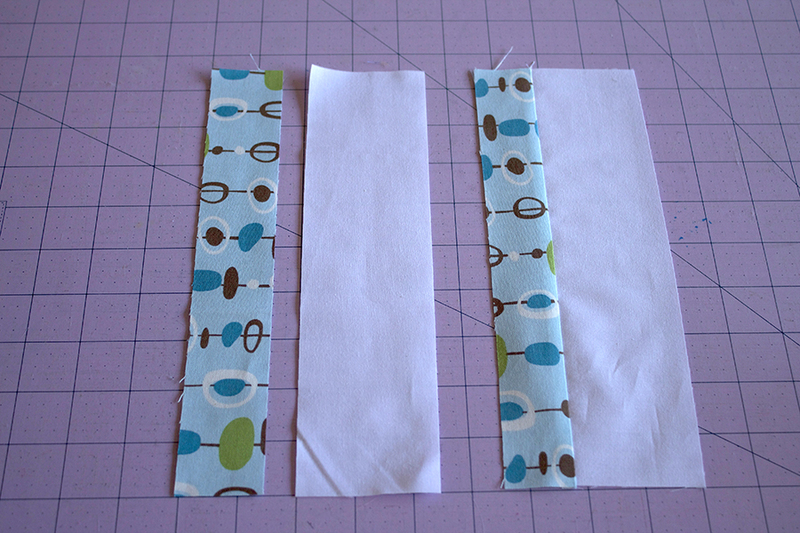 sew a 1 1/2 inch X 6 1/2 inch strip of print fabric onto a 2 1/2 inch X 6 1/2 inch strip of background fabric. 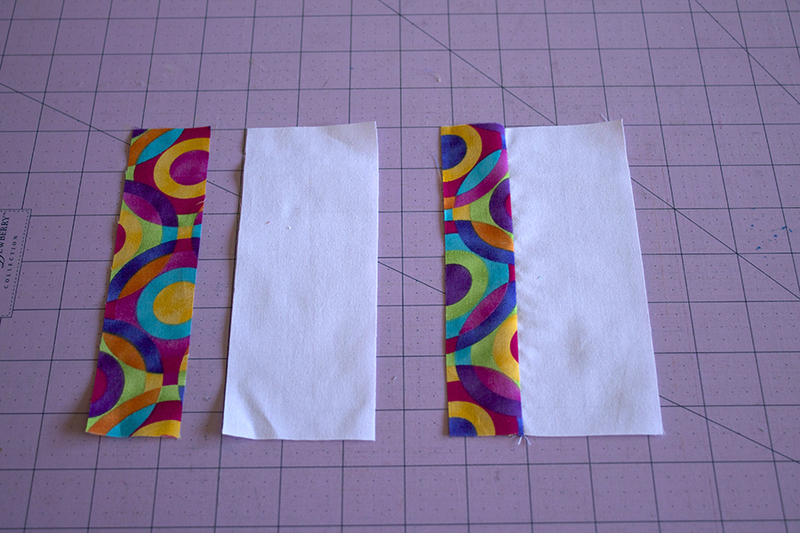 sew a 1 1/2 inch X 9 1/2 inch strip of print fabric onto a 2 1/2 inch X 9 1/2 inch strip of background fabric. Join block segments as shown above. 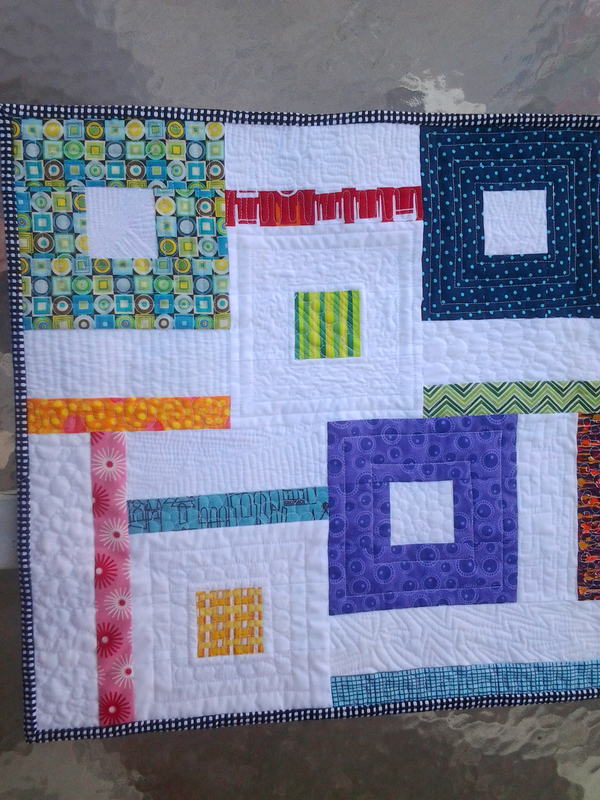 Sew Block C to Block A. 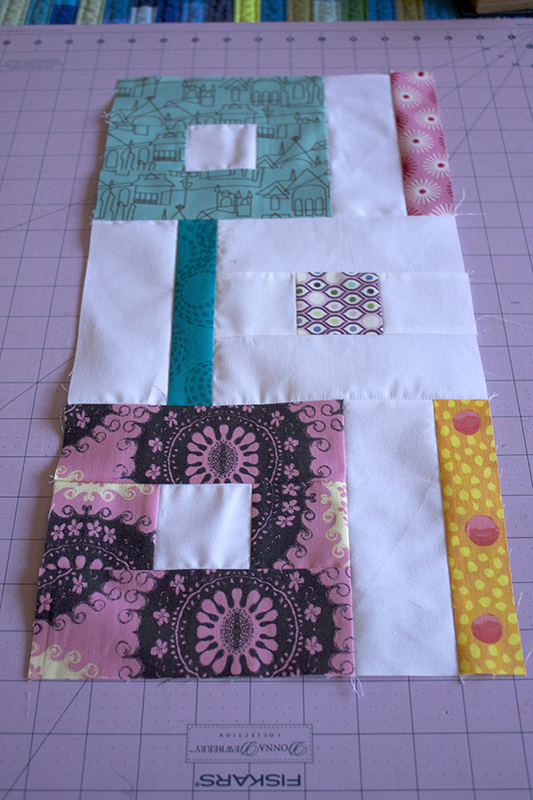 Next, add Block D onto Block C/A. 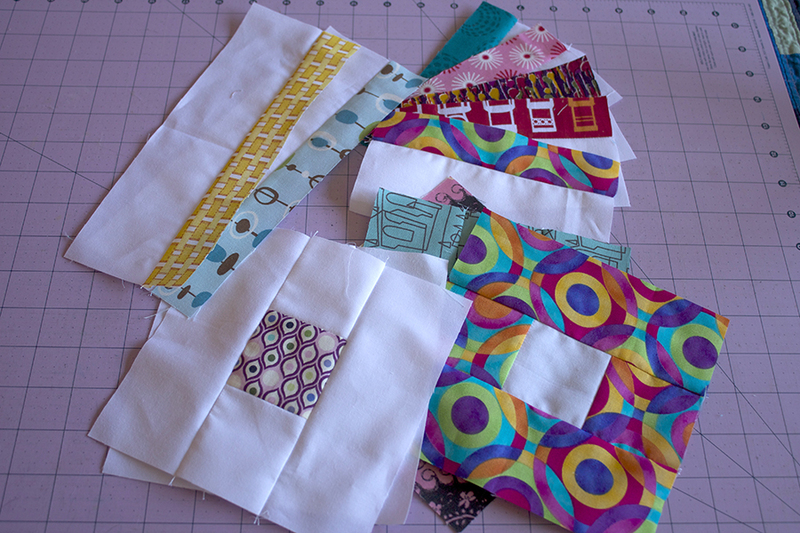 Sew Block C to Block B. 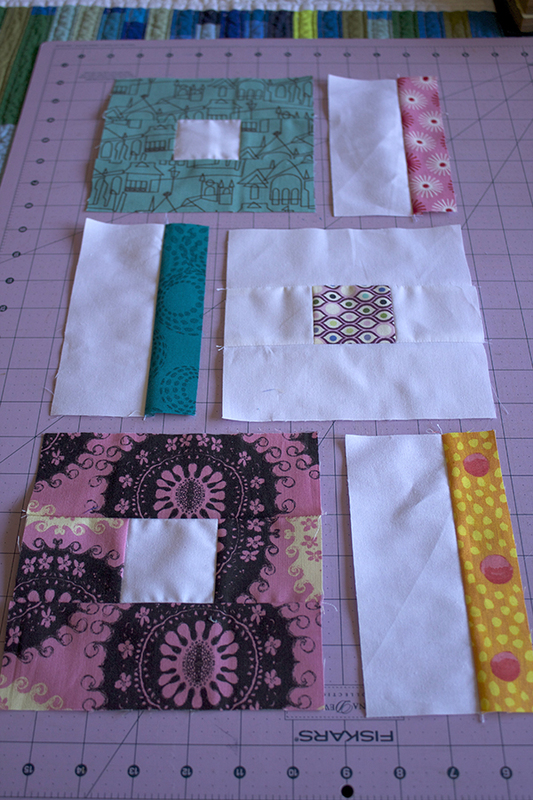 Next, add Block D onto bottom of Block C/B. Join segments as shown in the above photo. 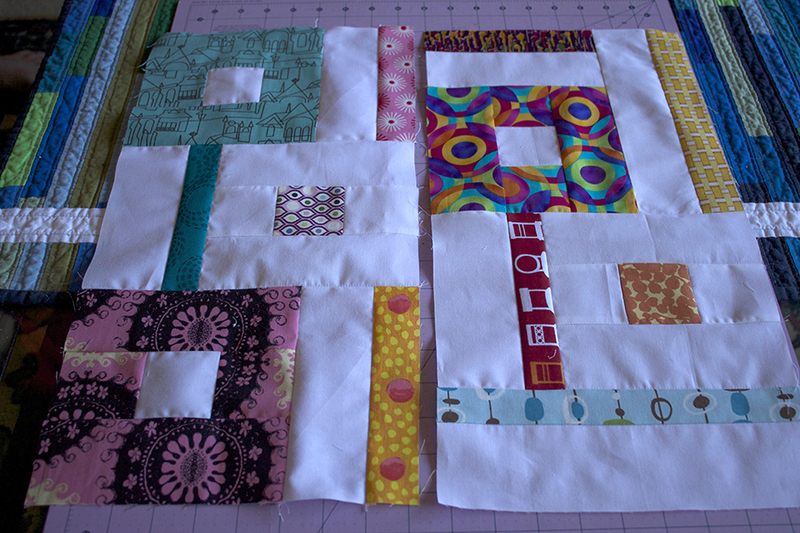 Join left and right sides to complete the block.